The Dreyfus Affair, as it came to be called, began in 1894, when the French military discovered that someone had been passing defence secrets to the Germans. 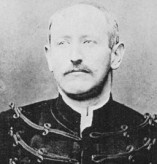 Captain Alfred Dreyfus, a Jew, was arrested for the crime and sentenced to life imprisonment. Over the next few years, as the doubtful evidence was publicly reexamined, France become torn into two opposed and sometimes violent camps: 'Dreyfusards' who believed that he was innocent and had become a scapegoat because he was Jewish, and the frequently anti-Semitic 'anti-Dreyfusards', who refused to contenance any questioning of military justice. The affair was the biggest news story of its time, and, taking place at the same time as the cinema itself was born, it became one of the first major news events to be tackled by the infant film medium, though with varying degrees of accuracy. One filmic representation was outright deception, when Francis Doublier, touring the Jewish districts of Russia in the late 1890s, showed selected shots of buildings and scenery, while a lecturer mendaciously declared them as the very places where Dreyfus had been tried and imprisoned. A genuine attempt to record Dreyfus on film took place when the prisoner was brought back from Devil's Island in July 1899 to face a second trial in France. This event, taking place in Rennes, became a great media circus, with scores of journalists and photographers descending on the town. In amongst them was a certain Monsieur Orde, carting a huge Biograph camera around the streets, and, despite the protests of the Dreyfus family, trying to record anything connected with the affair. He managed to film Madame Dreyfus on one of her visits to the prison and, by renting a house across from the prison yard and biding his time, succeeded in obtaining a shot of the prisoner himself on one of his daily walks. The next step in the screen portrayal of Dreyfus was dramatisation, and two film versions of the affair were made in 1899: Georges Méliès began work on his one in August, which consisted of some twelve separate scenes, showing Dreyfus (played by an ironworker) from his arrest, through his degradation and imprisonment, to the trial in Rennes. A Pathé version, in six scenes including the trial, was in production at about the same time, and both were on the market by the autumn of 1899. Méliès was a passionate Dreyfusard, and his portrayal of the prisoner reflects the filmmaker's sympathies, though this was not to everyone's taste: the first screening provoked fighting between pro- and anti-Dreyfusards, and Méliès' version was apparently banned by the French government, the first instance of film censorship for political reasons. A restriction on showing films about the Dreyfus affair was only lifted in 1950. 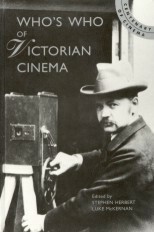 The affair had clearly demonstrated, even in this very early period, that the cinema could tackle burning contemporary events in both factual and dramatised formats.